Aided by a loyal talking dog, a boy thief trapped in the body of a newt, and some extraordinarily mischievous wizards, Anya sets off on a Quest that, if she plays it right, will ultimately free her land -- and teach her a thing or two about the use of power, the effectiveness of a well-placed pucker, and the finding of friends in places both high and low. 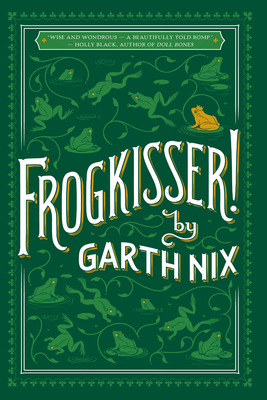 Garth Nix is the New York Times bestselling author of the Old Kingdom series, a modern classic of fantasy literature that includes the novels Sabriel, Lireal, Abhorsen, and Clariel. He is also the author of The Keys to the Kingdom series, Shade's Children, A Confusion of Princes, Newt's Emerald, and (with Sean Williams) the Troubletwisters series, among other novels. You can find out a whole lot more about him at garthnix.com.